When thinking of all the changes that cancer has on someone’s life, many people think of the side-effects of treatment. Treatment for cancer can be very hard on the body. From hair loss to nausea to weight loss to chronic fatigue. These side-effects are extremely tough to deal with. With this growth in prevalence, one has to ask, do these treatments help with cancer treatment? Do they increase survival? Do they make conventional treatments more manageable? Do they improve the quality of life? Or, on the flipside, do these treatments increase the risk of harm? Overall, there isn’t a lot of great scientific evidence on alternative and complementary treatments for cancer as a whole. However, there have been a few studies published over the past few years that shed some light on the impact of alternative and complementary approaches to cancer. Now to the science. In 2017, a study was published in the Journal of the National Cancer Institute that compared patients who chose alternative medicine to treat their cancer instead of conventional cancer treatment. The cancers included in this study were non-metastatic, meaning they had not spread to other parts of the body. For those familiar with staging, these cancers were staged through stage III. Patients with stage IV cancer were not included. The types of cancers included were four of the most common cancers: breast, prostate, lung, and colorectal cancer. Conventional cancer treatment was defined as chemotherapy, radiotherapy, surgery, and/or hormone therapy. 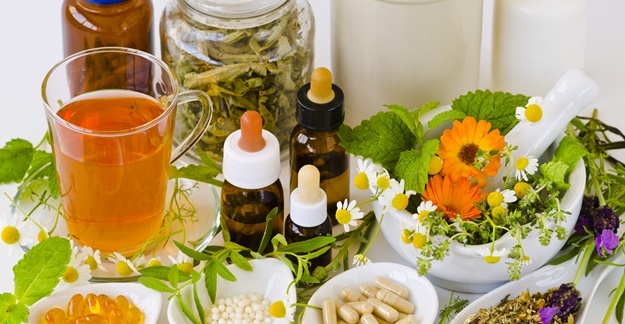 Within the National Cancer Database, 281 patients who chose alternative medicine instead of any conventional cancer treatment were identified between 2004 and 2013. These patients were matched at a near 2:1 ratio to 560 conventional treatment patients based on cancer type, age, cancer stage, diagnosis year, race, and other variables for a total of 840 patients. In other words, each patient was matched to two others who were very similar in these variables. So what were the results? Depending on your feelings towards this topic, the results may or may not surprise you. Overall, patients who chose alternative medicine instead of conventional cancer treatment had a two-and-a-half times higher risk of death within five years than those who chose conventional cancer treatment. When broken out by cancer type, the risk of death within 5 years for using alternative medicine instead of conventional cancer treatment was 5.68 times higher for breast cancer, 4.57 times higher for colorectal cancer, and 2.17 times higher for lung cancer. The differences in prostate cancer were not significant, likely because prostate cancer tends to have a much longer natural course.